FAYETTEVILLE, Ark. 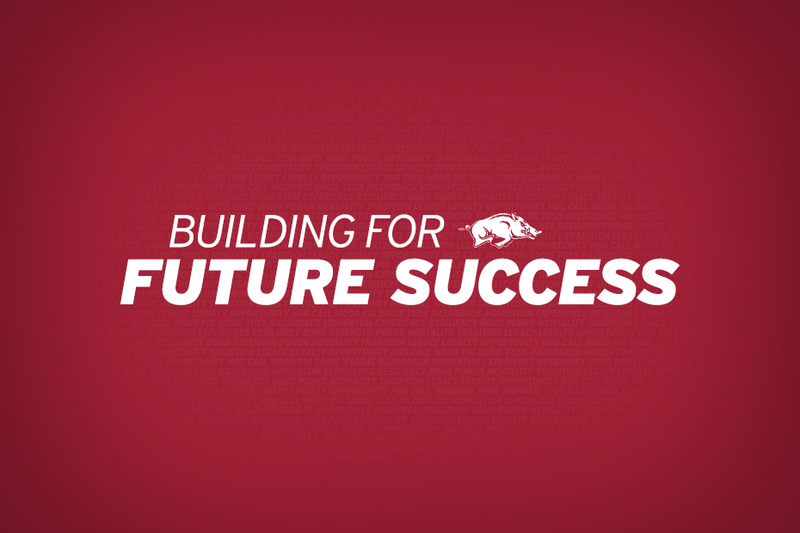 – The University of Arkansas Board of Trustees approved the construction of three athletic related capital projects, a Track and Field High Performance Center at John McDonnell Field, a renovation and expansion of the Randal Tyson Indoor Track Center and a Baseball Performance Center at Baum Stadium, as part of the agenda of their regularly scheduled meeting held Thursday in Fort Smith. The Board also approved the selection of architect/engineer design and construction manager/general contractor teams for the facilities. The projects will be funded entirely by athletic revenues, gifts, and bond proceeds from a future bond issue. No University funds will be required to complete the projects. Fundraising for all three projects is ongoing and the Razorback Foundation is close to solidifying lead gifts for each of the facilities. The approximately 20,000 square foot Track and Field High Performance Center will be constructed just south of the track at John McDonnell Field. Based on the feasibility study, the total project cost of the facility is currently estimated at $8-$10 million. Hufft (Bentonville) will work with AECOM (Kansas City, Missouri) on the design of the facility. Flintco (Springdale and Tulsa, Oklahoma) will be the construction manager and general contractor on the Track Performance Center. The Randal Tyson Track Center will undergo an extensive renovation and expansion. The total project cost of the Randal Tyson Track Center Renovation and Expansion is currently estimated at $15-20 million. Polk Stanley Wilcox (Fayetteville and Little Rock) and Populous (Kansas City, Missouri) will lead the design team on the Randal Tyson Track Center Renovation and Expansion while CDI Constructors LLC (Fayetteville and Little Rock) will serve as the general contractor. A new, approximately 40,000+ square foot, Baseball Performance Center will be built beyond the right field wall on the southwest corner of Baum Stadium. The total project cost of the Baseball Performance Center is currently estimated at $20-25 million. WER (Fayetteville and Little Rock) and HKS (Dallas, Texas) will lead the design team on the baseball clubhouse project while Kinco Constructors (Springdale and Little Rock) will serve as the general contractor.